Westbury Station will be closed to all passenger trains from Sunday 23rd December 2018 to Thurday 3rd January inclusive. London (Reading on some days) to the West of England services will all use the Westbury avoider line and not call at Westbury. Some will call at Frome. Some Weymouth to Bristol services will run from Frome non-stop to Trowbridge; others will terminate at Frome and restart at Trowbridge. Swindon to Westbury services will not run at all for the 12 days. Note also London (Paddington) closure on 23rd, 24th and 30th December and Severn Tunnel Junction closure on 30th December. Policy is not to make people have two bus journeys on what would normally be a through train - but (in the words of Pirates of the Caribbean) not so much a rule - more a set of guidelines. I really wouldn't fancy Cardiff to Salisbury in 30th December, nor Paddington to Westbury on Christmas Eve! I have noticed that my data does NOT show the Chippenham to Westbury bus calling at Trowbridge. I suspect that is an error in the data and that it will call at Trowbridge, but I will check back over coming days. Not sure I follow how do passengers from Westbury plus those who normally change there get to and from London and the West of England? Some London-WoE services will call at Frome instead. Frome to Heywood Rd Jn via Westbury avoiding line, stop/reverse, then to Trowbridge via Hawkeridge Jn ? Or will there be some limited paths through the station area - for stone trains primarily ? The whole of the S&C (Switch and Crossing) layout at the North End of the station is going to be renewed, hence the complete closure. No chance of anything running through that. Any enhancements to linespeeds as a result, or is it just a straight renewal job? I haven't seen a Signalling Scheme Plan (yet) so assume due to the constrained geometry, that it will be a 'like for like' renewal. Residents of Westbury in Wiltshire are invited to a drop-in session on Wednesday 5 December to find out more about upcoming work to renew the track at Westbury North Junction to improve safety and reliability. Westbury North Junction is an important crossroads for the railway, with tracks radiating out in five different directions. 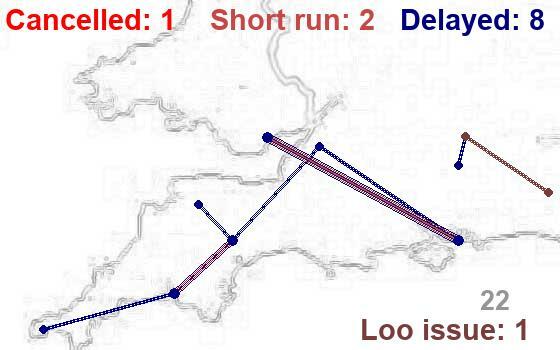 This means that any delays to services on one route can very quickly have a knock-on effect on others. At present, there is a temporary speed restriction in place at the junction owing to the age of the track, which dates from the 1970s. Track replacement work taking place over the Christmas period will mean that reliability will be improved, as the entire junction will be replaced over 12 days of work, from Sunday 23 December to the early hours of Friday 4 January. During this time, engineers will be on site throughout the day and night. Follow up work will take place during Saturday nights in January. Alongside replacing the track at Westbury North Junction, engineers will also be upgrading the signalling in the area and modifying the platforms at Westbury station to accommodate the new electric trains that have been introduced by GWR. These new trains have more seats than the high-speed trains they have replaced and are longer. 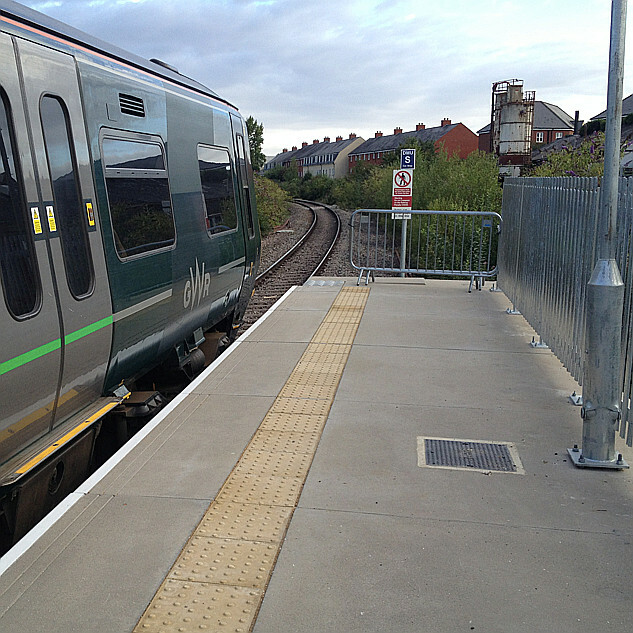 As well as extending the platforms to meet the length of the new trains, this modification will make it easier for passengers to step on and off the train, as the stepping distance between the train and the platform edge will be reduced. The drop-in event will take place between 5pm and 7:30pm in the Abraham Suite at Westbury Town Council, The Laverton, Bratton Road, on Wednesday 5 December. Members of Network Rail’s project team will be available to answer any questions from residents. “I’d like to thank residents and passengers in advance for their patience as we undertake these essential maintenance and upgrade works. “With thousands of train journeys made by millions of passengers each year, track needs to be regularly maintained and renewed so that we can continue to run safe, reliable trains for passengers. “The drop-in session will be a great opportunity for residents to learn more about the works taking place, and we urge anyone who has questions or would like to find out more to come along and speak to the project team”. The upgrade work taking place at Westbury over the Christmas period is one of over 330 projects that Network Rail are carrying out nationally during the festive season, with a workforce of 25,000 delivering over £148m of vital upgrades across the country as part of Network Rail’s Railway Upgrade Plan – the biggest sustained investment in the railway since Victorian times. The number of people using the railway over Christmas is considerably fewer than at other times of the year, therefore these essential works have been planned to keep disruption to a minimum. We will be working hard to minimise the impact upon residents whilst these vital upgrades are taking place. Owing to these works, services via Westbury will be diverted or replaced by buses from Sunday 23 December to Thursday 3 January inclusive. Passengers are advised to check www.nationalrail.co.uk and www.gwr.com/Christmas before travelling. Is that a one-off event? Good it's happening ... but it's well over a mile from the station, and I would hope it would be supported by other events for rail passengers customers too ... including those who's journeys are going to be effected. Westbury has a significant "Parkway" element ... at then very least, there should also be a chance for passengers to meet Network Rail at the station, perhaps making use of the training / meeting room on platform 1? I have the original revised timetable booklets for when this work took place, something you won’t get now. Was that the same time that the old platform 1 was taken out of use and the track slewed away from the platform? There are only three tracks (routes) leading away from the North Junction.